The tragic shooting at Ohio’s Chardon High School last month shocked and saddened the nation and left kids asking about their school. Dr. Tiemann: School shootings are terrible tragedies, but it’s important to keep them in perspective — thankfully, they’re rare, and most of the time, kids are safe at school. Recent statistics show that students are less at-risk for incidents of serious violent crime while at school than they are outside of school. If you have specific safety concerns about your children’s school or the kids in your community, voice them to school leaders. Keep asking for help or clarification on policy until you’re satisfied that your school’s looking out for troubled kids and taking action when there’s a reason to be concerned. How can parents explain such an unimaginable tragedy as a school shooting to kids? Dr. Tiemann: Before you talk, listen and find out what your kids have heard and what worries are on their minds. Listen with empathy and give them opportunities to grieve for what’s happened. Acknowledge that our world isn’t perfect, but it’s still wonderful. Help kids to feel empowered by making positive changes in their own communities and schools. Address your kids’ questions, worries and concerns in a calm manner. If you need to vent or get support for your own fears, talk with another adult, whether that’s a spouse, friend or a trusted counselor. Don’t project or unload your adult worries onto your kids. 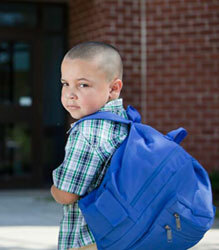 What can parents do to make sure their kids are safe at school? Dr. Tiemann: One concrete step is to make sure it’s “safe to tell” and talk about problems at school. Figure out how the school can help kids feel safe about speaking up if someone’s behavior is worrying them, without fear of retaliation, overreaction or being discounted. Have a plan of action for how to handle the situation when kids do feel the need to speak up. For this to happen, it needs to be part of the school’s overall culture, with clear lines of communication of who to speak with if they have worries. Of course parents can be this conduit and advocate at home, but kids should also know who to talk to at school. On a larger scale, adults in each community need to keep working to make sure that every student has mentoring and support. Even if they have problems, young people who feel cared for and connected are far less likely to engage in violence than those who feel alienated and alone. 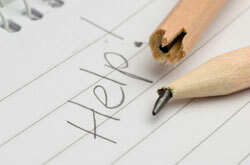 What plans does your school have for identifying and reaching out to troubled kids? Notice and reach out to anyone who seems isolated. Address bullying and other violence immediately. Commit to creating a community of caring, respect and safety for everyone. What can kids do for their own safety? How can they feel empowered when they walk the school halls? Dr. Tiemann: Both kids and school staff should be prepared with knowledge and skills such as Kidpower training (it’s taught personal safety skills to more than two million people worldwide). When an attack happens, your actions in a few seconds can make a huge difference. Prepare kids to run away from the shooting and get to safety if they see a gun or hear shots.